A new approach to Teaching? New Forest Log Cabins are always looking for new ideas to help improve the facilities offered for training and we've come up with great new ways to help you maximise the benefits of training using Modular Classrooms constructed using Solid Log or Timber Frame which differ from the traditional classroom approach by offering a speedy solution and economical to construct facility that meets the requirement for UK Building Regulations and Ofsted when building for Schools. Is your school in need of extra space to teach, but unable to construct a permanent classroom. 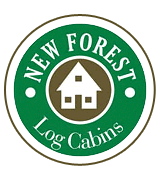 Not only are New Forest Log Cabins able to deliver Log Classrooms as a cost effective alternative, they are now available to be constructed as non permenant classrooms. With Training being an essential part of the facilities offered by Top Barn Training in Worcestershire, we were verypleased to have been selected to design and build this classroom facility. Measuring 12 x 8mtr you could have a simple, but very functional classroom or training facility sooner than you think, at a price that wont beak the training budget..! The Nell Bank School in Ilkley, North Yorkshire didn't seem so topical at the time we constructed this Shower Block 3 years ago, however, after adding the solar panels to the south side of the roof, it made this building one of the earliest Eco friendly facilities by harnessing the power of the sun to heat the water for the showers and enough power to drive the boilers to provides additional heating. Using a series of low carbon materials in the manufacturing process, Eco natural materials such as linen wool to insulate the building and non carcinogenic preservative to treat the external logs against the damage of UV rays, gives this type of building an extremely efficient Shower Block using Carbon Neutral material and constructed to be energy efficient and thermally efficient. When groups of teachers or students need somewhere to stay, this 20 x 6.8mtr log building will provide enough for a group of 16 to eat, sleep, live and work under the same roof without getting under each other's toes. With a lifespan in excess of 100 years and built to last, the Student lodge style of accommodation can be designed to be totally functional and built with special needs in mind for the visually impaired, disabled and is strong enough to cope with every day needs of groups of children and grown ups alike. When Richard & Tanya Faulds contacted us to help design their new Shooting School, we helped then turn their dreams into reality combining traditional Club House feel with that little bit of Wow that hits you when you walk in and with all the facilities available to meet the clients need for excellent shooting. The venue is now a much sought after location for companies wanting to entertain clients with the launch of new vehicles to Corporate Hospitality. The team at New Forest Log Cabins would like to thank Richard for keeping our Sales Director John away from the office during the design and build and being a keen shooter himself, he is naturally a big fan of the new clubhouse.